At the park, my daughter is climbing the ladder to the top of the slide. I think this is a great idea. I love slides; I’ve always loved slides. But my two year old isn’t really a slider. She’s more of a hanger. She loves to swing from monkey bars, which sometimes makes me nervous. 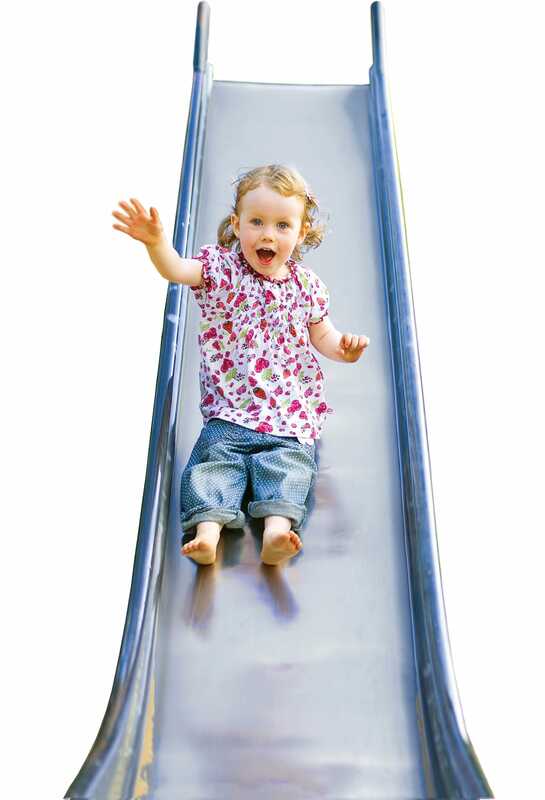 “Go for the slide!” I shout. 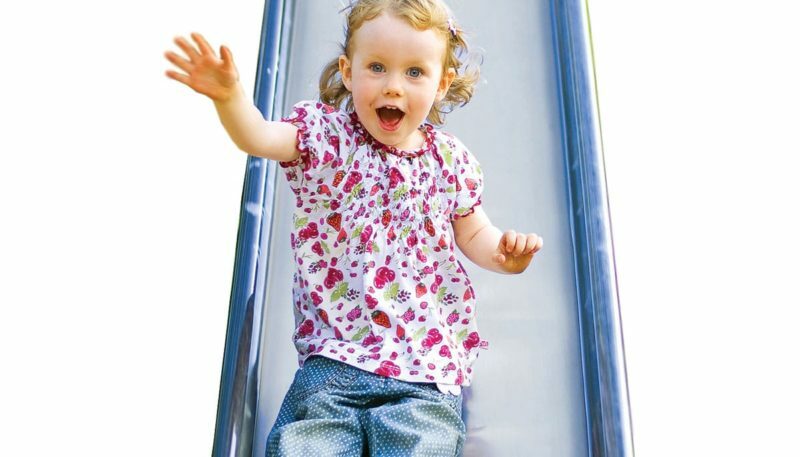 She gets to the top, pauses dramatically, and says, “The slide is hot. I want a snack.” My heart sinks. Slides are great. What’s her problem? Then my practice kicks in. Diana, this is not about you. This is about her. Take a breath, feel your body, notice the hot feeling of disappointment over this truly tiny moment arising in your chest. Breathe and let it go. It’s just a slide. Let her be who she is. Don’t resist. This is the practice of non-contention—surrendering to things exactly as they are. I do it tens of times a day with my daughter because it helps me meet each moment with clarity and let go when the moment isn’t what I want or expect it to be. 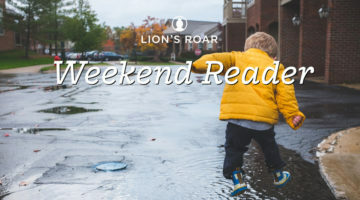 I’ve been astounded how many expectations I carry about my child—who she should be (a slider not a hanger), what she should wear (not that blue elephant t-shirt for the fifth day in a row), what she should or shouldn’t be doing at any given moment (not hanging on my leg), and especially, what she should be feeling (shouldn’t she be cheerful most of the time?). If I don’t practice non-contention, I suffer, fret, struggle, complain, and basically ruin my day. If I do do it, I grieve briefly but my mind is at peace. I let go of what are merely ideas about the way things should be and open to the truth of things as they are. Parenting is difficult, especially when dealing with a child’s strong emotions. I discovered in her infancy the challenge of tolerating my daughter’s anger. I’d do anything rather than feel the pain of her pain. After a while of my husband pointing out to me how quickly I was trying to distract her or give in to her, I now use my daughter’s wildly uncensored anger as a practice moment. What’s happening inside me? 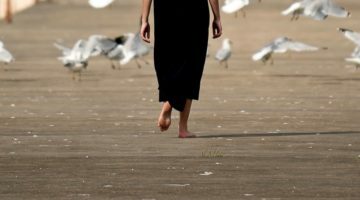 Can I not react out of fear and aversion? Can I let her be exactly as she is? This practice isn’t about being a doormat. It doesn’t mean that if your child is doing something hurtful to herself or another person, or something against your rules or philosophy, that you say, “Ah, yes, I will be with this moment exactly as it is.” The wise discrimination that comes through mindfulness is needed here. You have to discern on the spot whether to let go or act. However, I’ve discovered that when I act with a mind of noncontention, it’s usually far more effective than the automatic responses that come from anxiety or anger. Today my daughter grabbed the blue elephant shirt again. “How about a different shirt today?” I pleaded. “Noooo, I want my elephant shirt.” So after a minute or two of stress, struggle, and thinking things needed to be different, I breathed and let go into things as they were. Yup, this is it. This is life.